Sorry, I don't have a pretty badge for this meme. So, you'll just have to click on the link with the name of the meme if you want to join. So, over the weekend, several times, over several days, I stood by the bank of our pond with my camera to my eye. I would focus, curse, and focus again. Why? You ask. 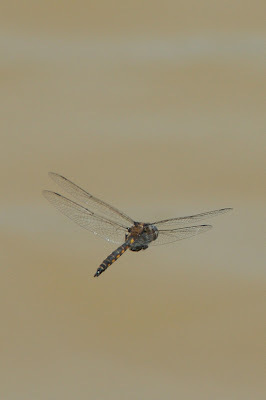 It was because I was trying to capture the dragonfly, in flight, that continued to taunt me and buzz back and forth around me. I watched their patterns, because they tend to fly and hover in the same pattern. Finally, I captured a few 'in flight' shots. FINALLY! They aren't great shots, but after the effort and time I put into them, I'm happy with what I got. I always get tickled at your creativeness in incorporating ads in your posts. lol I love your little dive bomber!